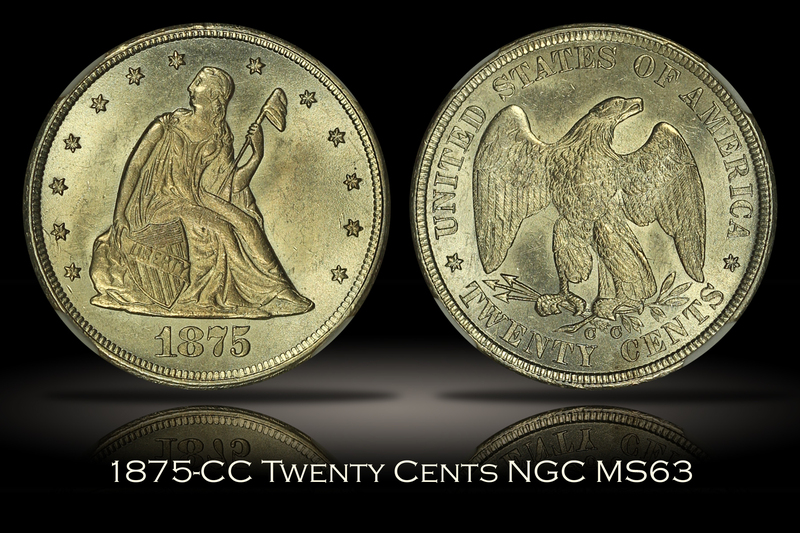 The 1875-CC twenty cent piece is a very popular type coin and a favorite of collectors building type sets who wish to include coins that are better than average and which do not include the most common examples available. 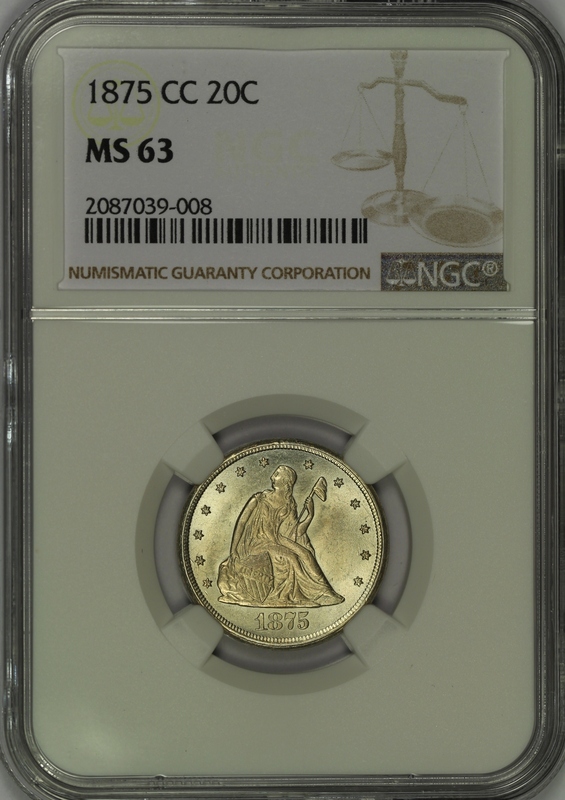 This example of the 1875-CC Twenty Cent has been graded MS63 by NGC and is encapsulated in the newer-style edge-view holder. This is an amazing example for the grade. 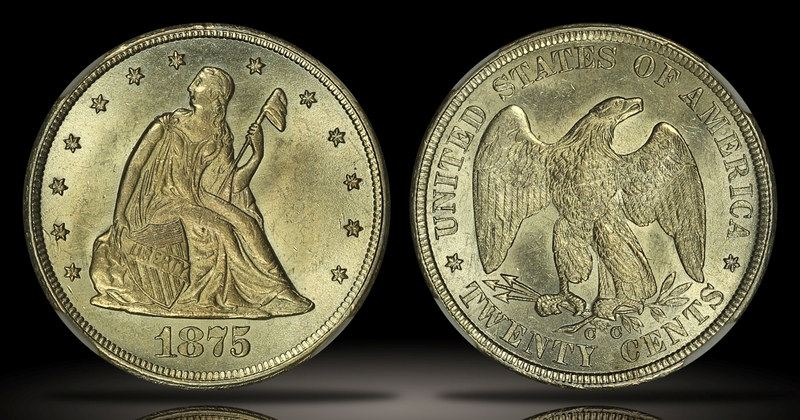 The coin has a strong strike, booming mint luster and overall eye appeal of a coin that appears better than the grade suggests. There are some minor scuffs and light hairlines in parts of the fields that are noticed at certain angles which may have limited the numerical grade of the piece. 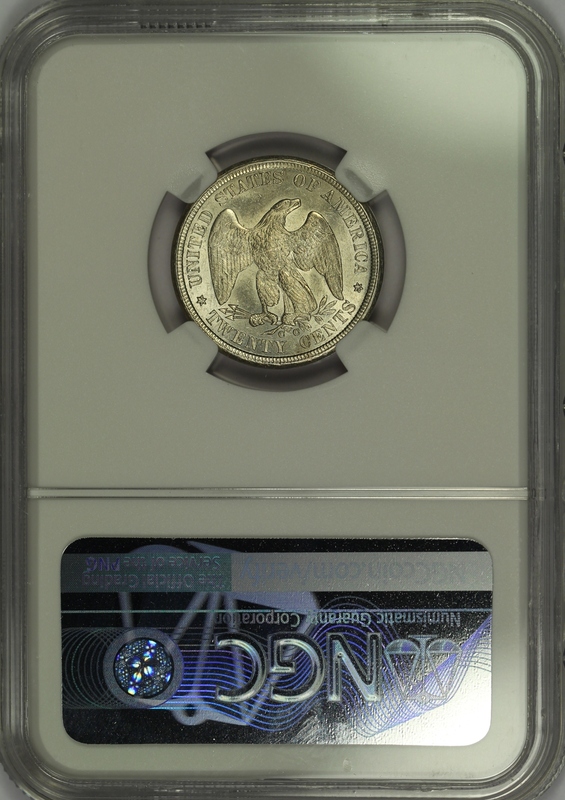 That said, this is an excellent example of the type for the collector who wishes to include a spectacular Carson City twenty cent piece in their collection.